The Miramichi, N.B., native and current vice-president of Baseball Canada never had the opportunity to compete against Greg Maddux, but he greatly admired the soon-to-be Cooperstowner and never missed a chance to watch him to pitch. 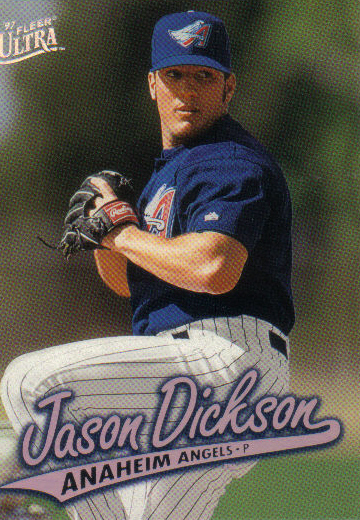 Nearly seven years younger than Maddux, Dickson began following the 300-game winner prior to being drafted by the Angels in 1994. Unfortunately, in his parts of four seasons in the big leagues, Dickson pitched exclusively in the American League, while Maddux toed the rubber in the Senior Circuit, so the two never faced off against each other. Both Dickson and Maddux were, however, selected to participate in the 1997 all-star game at Jacobs Field in Cleveland. Also at that all-star game, Dickson shared a dugout with Frank Thomas, who will be honoured with Maddux and Tom Glavine in Cooperstown on July 27. Dickson held The Big Hurt to two hits in seven at bats during his career. The two hits were both doubles. Being selected to that all-star game also gave Dickson the chance to play for Joe Torre, who was managing the American League squad. Torre was elected to the National Baseball Hall of Fame by the Veterans Committee along with fellow managers Tony La Russa and Bobby Cox in December. Dickson remembers Torre calling him into his office the day before the game to let him know that he was going to try to get him into the game, but that there were no guarantees. Thanks for the kind words, Scott. I had a good chat with Jason. He’s a great guy. Nice story Kevin. It felt like I was right there with Jason Dickson as you told the story. Thanks for the comment, Len. Happy New Year to you!